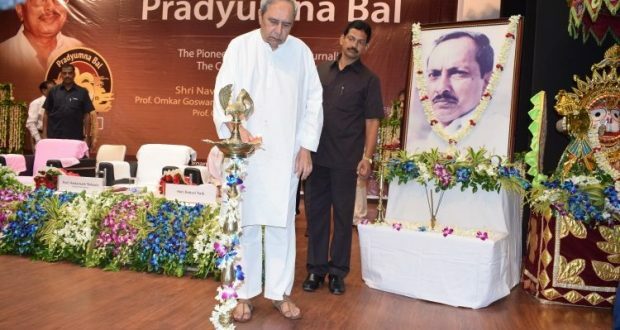 Bhubaneswar: 8/11/18:On the 86th birth anniversary of revered politician, journalist and founder Editor of renowned Odia daily ‘Pragativadi’, Shri Pradyumna Bal, a programme was held at KIIT University today commemorating the noted personality who hails to be the founder president of KIIT and KISS as well. Paying his earnest tribute to the revered politician, Patnaik congratulated the members of Pragativadi and KIIT, KISS family on the occasion. The memorial event was also touched by noted economist Omkar Goswami, well known educationist Omkarnath Mohanty, Editor in Chief of ESPN Cricinfo Sambit Bal, and President of KIIT & KISS Saswati Bal.